Netflix’s new 6-part docuseries, “Wild Wild Country,” has become its latest sleeper hit. Business Insider talked to the directors of the series, which takes an in-depth look at a cult that attempted to build a utopian city in rural Oregon in the 80s. The show is filled with “insane” details – from guns, to Rolls Royces, to salad bar poisoning – but the real accomplishment of the series is how it captures compelling characters on both sides of the conflict between the cult and the local townspeople. 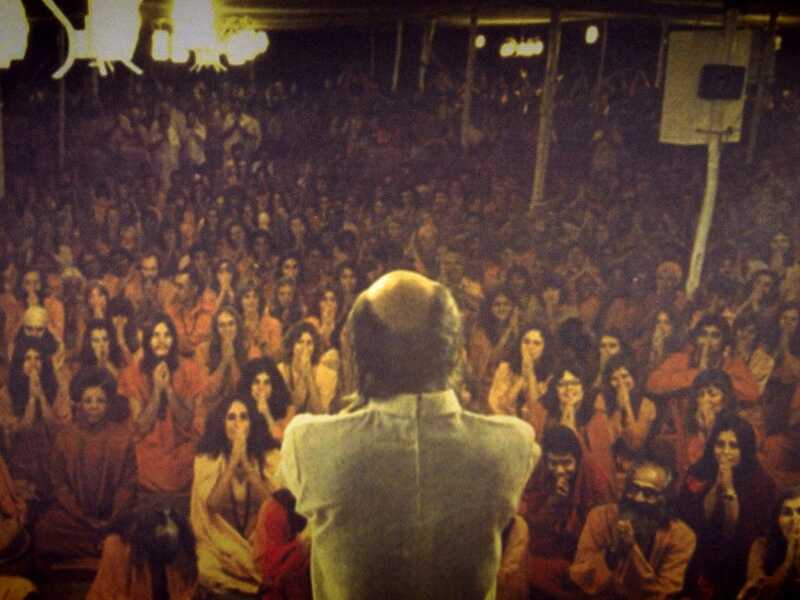 The story, which started in 1981 when a cult led by mystic Bhagwan Shree Rajneesh bought a 65,000-acre ranch in rural Oregon to construct a paradise on Earth, quickly captivated the imagination of the American news media. The guru and his followers (“Rajneeshees” or “sannyasins”) had so many attributes that were impossible for the media to resist: free love, machine guns, and a leader with dozens of Rolls Royces and a million-dollar watch. But the real meat of the news fodder came from their conflicts with local ranchers and other townsfolk, who resisted the cult’s attempts to commandeer the municipal government, which included bringing in thousands of homeless people by bus to vote for Rajneeshee candidates. The tale of Rajneeshpuram was capped off by a wild crescendo, in which the Rajneeshees attempted to suppress voter turnout by poisoning the salad bars of nearby restaurants with salmonella. They ended up poisoning 751 people in the largest bioterrorism attack in US history. 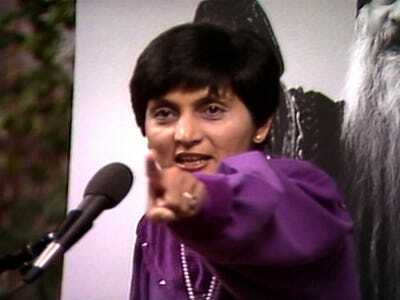 The architect of the attack and operational leader of the group, Ma Anand Sheela, spent more than two years in prison. Ranjneesh himself fled to India, where he died in 1990. Then the story largely faded from memory in the United States. But interest has been revived by the release of the Way brothers’ 6-part docuseries, which has become a word-of-mouth hit for Netflix since it came out earlier this month. 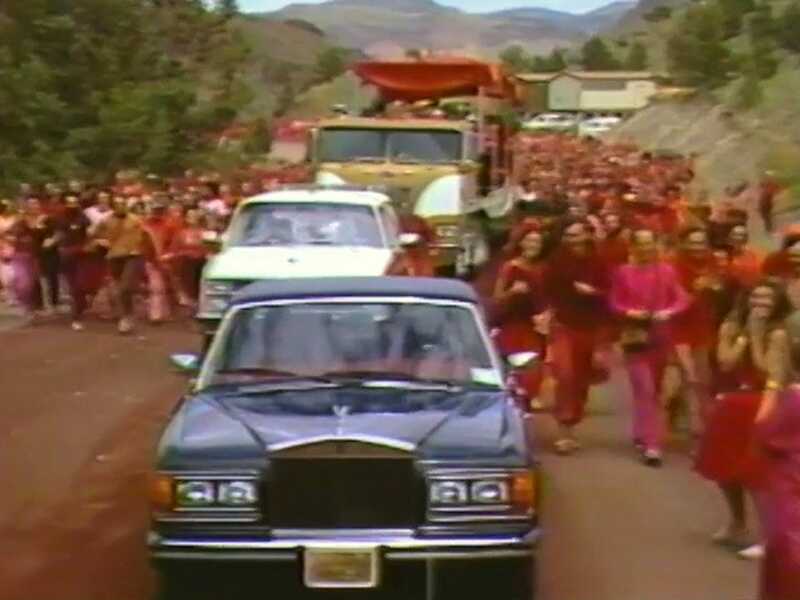 Part of the reason is that the Ways reached beyond the salacious sound bites to present Rajneeshpuram in all its wonderful complexity. Their interviews with the major players on both sides of the conflict are nuanced, compelling, artfully shot, and simply darn fun to watch. 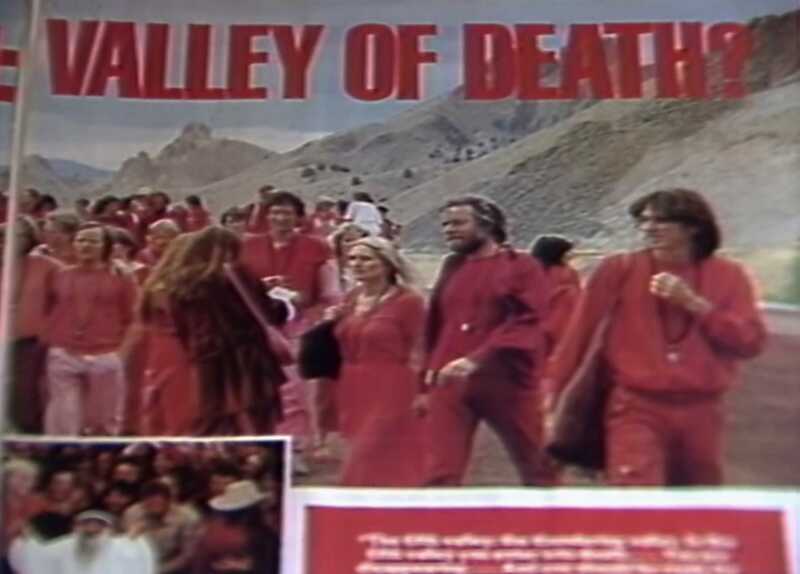 Business Insider spoke to Chapman and Maclain Way about how they put together the series, what Sheela was like in person, and whether another Rajneeshpuram could spring up in our current time. Fans will be glad to know the brothers said they are “definitely” interested in potentially making a follow-up(though likely not a whole second series), and have gotten a bunch of new tips since the series went live on Netflix. Nathan McAlone: What first caught your interest about this particular story? Chapman Way: The whole project started for us about four years ago, in 2014. We were talking to a film archivist in the Northwest, up in Portland, who told us that he had access to this incredible collection of archive footage of what he told us was “the most bizarre story that had ever happened” in the state of Oregon. Mac and I were shocked we hadn’t heard about this story. We were born right after it all ended. Our first initial instinct was, “Holy crap, this is an actually insane story.” But it wasn’t until we started searching and found this complex underbelly – what is a religion, what is a cult, fear of the other, immigration rights, and all these thorny topics – that we thought this could make for an interesting deep dive. McAlone: How did that archivist come to have the footage? Maclain Way: It was a really interesting story about this particular collection. When the Rajneeshees came to Oregon in 1981, they immediately drew a lot of local news attention to them. [It was a time] when news station were switching from 16 millimetre film to U-matic tapes and one of the big selling points of U-matic tapes was that you could tape over them, and save costs that way. In general, from 1980 to 1985, it’s a time period where there are not a lot of news film archives because news stations were taping over their tapes trying to save a dollar. But with the Rajneeshees, news directors knew how significant this story was, how historical the Rajneeshees were going to be. So they never taped over their Rajneeshee tapes. The whole collection was 525 U-matic tapes, and that in addition to all the other archive footage we were able to track down ended up being about 300 hours of archive footage. McAlone: Once that happened, did you then start reaching out to set up interviews? Were you nervous some of these people on either side wouldn’t want to go on camera? Chapman Way: The first thing we did was digitize the footage. At worst, we’d release a feature [length], archive-only version of the story. The story is just so incredible. Even if no one wanted to be interviewed, we’d do a 90-minute, archive-only [film]. But then as we started watching the footage, the first character who jumped out at us was not even the guru so much as this Ma Anand Sheela, who was the secretary really responsible for building this huge religious empire in the 80s. She’s feisty, she cusses, she speaks her mind, she’s not afraid, she doesn’t take sh– from anyone. We were equally fascinated and terrified, but we knew that if we could talk to her, maybe this had the potential to be something really special. So we reached out to her. We found an email address for some health institutions she runs. We got her on the phone. It became clear immediately that she felt like she hadn’t been given an opportunity to tell her version of the events, her side, how she thought it unfolded. Mac and I – and my wife, Julie, who’s a producer – we took about three or four trips to Switzerland before we even interviewed her, just to get to know her, to understand what she’s doing today, to meet some of her family members. I think it led to this really intimate interview that we got with her. McAlone: It must have been strange for her. She got to tell her story a lot [in the 80s], in a combative way on camera, but after the fact it all went away. 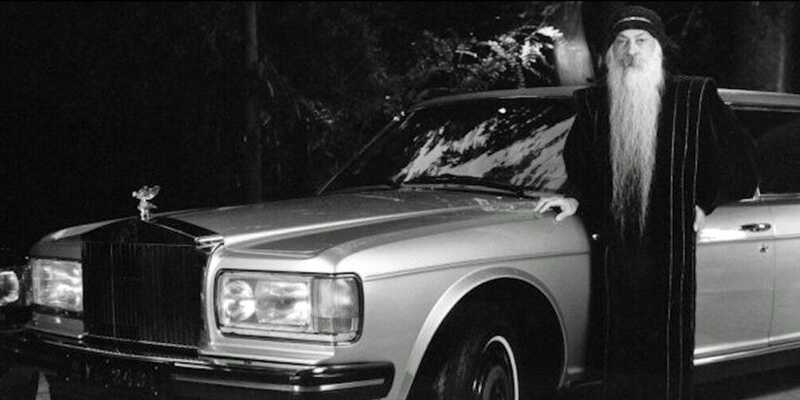 Chapman Way: I think she felt like some of her persona at the time, in the 80s, was this cultivated persona. Maybe she was being provocative for a reason. All press is good press. I think there was a value in interviewing her 35 years after the fact. I think there was a lot of new insights into the movement, what was happening, and what their purpose was in Oregon. Chapman Way: Yeah, the first thing that you are really struck by, and it’s in the series, is just how tiny she really is. I don’t even know if she is over five feet tall. She’s very small. And it’s almost shocking cause she’s such a larger-than-life figure in the footage, and how everyone speaks about her, that it’s almost stunning to see how tiny she is in person. When we met her it was right during the primaries, when Trump was starting to gain steam, and the first thing out of her mouth was she just started roasting us for being from America, and for the rise of Trump, [and saying] how America was falling apart without her. She was funny and charming and witty. And we started immediately diving into her backstory and whole life. McAlone: Was there anyone it took more to convince, or were people pretty open? Maclain Way: When we first started, we knew that the sannyasins or former Rajneeshees would be hard to get to open up, especially since we had made a documentary about an Oregon baseball team, so I think from their perspective we were coming from Oregon, a state they had kind of gone to war with. But I think the thing we were most surprised by was the ranchers and the neighbours of Rajneeshpuram, their hesitancy to talk about this. From their perspective, it was a very painful and traumatic time in their life that they didn’t want to revisit. I think that the interesting thing was that both sides – Antelope and the neighbouring ranchers, or the Rajneeshees themselves – saw the story of Rajneeshpuram as a warning of sorts, and they were realising how forgotten the story was. Granted, each side looks at the story of Rajneeshpuram as a very different type of warning. I think sannyasins will talk to you about how this was an example of government overreach and religious persecution they were facing, whereas people from Antelope or neighbouring ranchers will talk to you about the dangers of cults, and what brainwashing can do to you. Ultimately, everyone who did participate in the documentary series [talked to us because] they didn’t want the story of Rajneeshpuram to be totally forgotten. They saw value in it as a warning. McAlone: There are definitely sympathetic arguments on both sides. But the moment when [the Rajneeshees] started busing in homeless people [to try and sway the election], it seemed that the decision-making was going to places that were illogical. This was clearly not a good idea and would go off the rails. Up until this point, the [decisions of the leadership] seemed rational. What changed? Maclain Way: It was really interesting, when we talked to sannyasins who were not involved in that decision-making to bring in homeless people, they often talked to me about this, unprompted, as “the beginning of the end.” And that was their reflection 30, 35 years after this happened. That decision was so far off base from what the original intention of the community was, which was kind of “peace, loving, meditation, personal and spiritual growth, we are all on this path walking toward enlightenment – now we are kind of becoming a homeless shelter,” which was really interesting as interviewers. McAlone: What is the status of the community now generally? Chapman Way: There’s sort of one main organisation, and then there’s a bunch of little offshoots. The main organisation is the Osho International Foundation. They go by “OIF.” They are run out of the same ashram that they started out in the 70s, and it’s not really community living, more of a resort you pay to do some meditation and spa treatment, and psychotherapy is involved. They have completely rebranded. It is no longer Bhagwan’s face all around the area. They changed his name to Osho. It’s an international resort for seekers, and people interested in spirituality and yoga and that sort of thing. But there are still these communes all over. My wife, who produced the series, is from Brazil, and she knows people who live in some of the communes in northern Brazil who are still dedicated to Osho’s teachings. Mac and I during research went to their headquarters in Italy – Osho Miasto – which is one of their communes and spent a few days talking to sannyasins there. They do have these satellite communes all over the world. But their main headquarters and moneymaker is based out of Pune, India. McAlone: In terms of the sannyasins who were in the Oregon commune, how did they feel about the current organisation? Chapman Way: They all kind of have their own circles and are still devoted to Osho. One of our talking heads is in northern California and belongs to an Osho group out there in Marin county. Niren, who is the lawyer we interviewed, still travels to India every once and a while. They all have different thoughts. The interesting thing I found is that while the organisation doesn’t like talking about this chapter of Osho’s biography and history, all of the American sannyasins felt such a traumatic – almost PTSD – response to this failed experiment [that they] wanted to dive back into the story one more time, so they could tell their version. 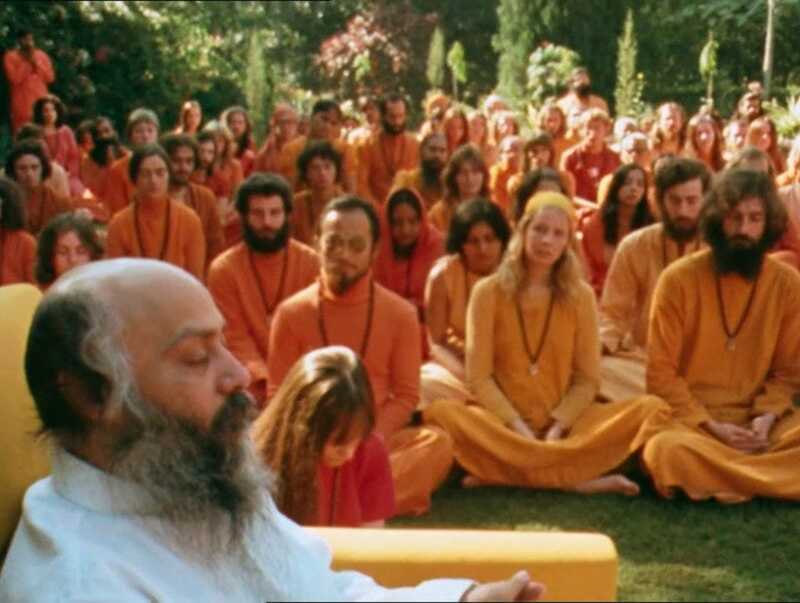 McAlone: Was there anything you were conscious of avoiding [when making “Wild Wild Country”]? Chapman Way: I think the most difficult part was that there were just a lot of rumours that had gone around on both sides. I think for the people of Oregon, [there were rumours of] things they had said, that we could have dove into, that really paint these people as horribly racist and bigoted. But you know it’s rumours and there is no evidence of it. In the other direction, the people of Antelope would say horrible things that were rumour-based about the Rajneeshees, and crimes that were committed, that we couldn’t find evidence of, and the government could not find evidence of. [But] that didn’t mean it didn’t happen. As a documentary filmmaker, you are trying to straddle that line by giving the audience the most information that you can. But you are afraid of hearsay seeping into the narrative and things being misinterpreted. It’s always a difficult line. McAlone: Do you think [the story of Rajneeshpuram] relates particularly to its time period, or do you think anything of that scale would be possible now in a place like Oregon? Chapman Way: What I’ve found fascinating – and this is just my armchair take – was that a lot of the sannyasins that we talked to had come to this point in life where they were successful. They had achieved career success, but they were ultimately unfulfilled and were looking for something new, something exciting. And from my own social circle, my own friends, there does seem to be a similarity with the millennial generation, of people that have gone to school, gone to college, gotten a degree, started a family – and then people are asking, “What do we do next, is this really the pinnacle of happiness?” There are definitely always these movements, especially in America, where people start looking for something more, start looking for something more fulfilling. I think something of this scale could be achieved again. And I think this series has some warning signs of what happens when these things unfold.